Langmead Herbs is posting 50% annual growth because it invests in its people, the company said today. Employees feel pride in the job and are acquiring a raft of new skills thanks to a strong programme of staff engagement and development that is driving improved productivity. Production line workers have earned promotion to senior management at the pioneering fresh herbs specialist based at Ham Farm. Langmead is on course to achieve 50% business growth across 2016, and staff numbers are up 15% after a recruitment campaign to support and sustain this exceptional performance. Retention rates are high, with 57% of the 60-strong workforce having service longer than three years and 20% longer than five years. These are impressive figures for the food industry, which is noted for relatively high turnover of staff. Pride in the company is evident, with an overwhelming majority proud to positively tell people they work for Langmead, according to the organisation’s first employee survey. Pride is the company’s key measure, but further superb scores were also recorded: 87% feel involved in decision making and 92% say everyone is treated well. 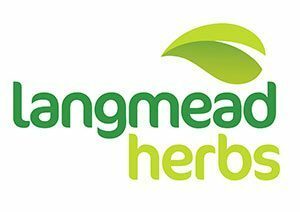 Langmead Herbs is a leading producer of outstanding potted, cut and bunched herbs to UK supermarkets and other premium retail channels, as well as cut herbs to processors of meat, fish, poultry and vegetables serving retail and foodservice supply chains for added-value products. “Our distinctive approach is that everyone matters: no one is taken for granted and everyone knows they have a role to play. We have created a virtuous circle, where staff feel engaged with the company so they stay with us, develop their skills, often earning promotion and engaging further by contributing new ideas to the business,” Mr Summerfield said. Examples of staff development are many, but of note is that Langmead’s Operations Manager and the Ham Farm Site Manager both achieved their roles through successive promotions after starting on the production line. Ongoing training is offered to all employees, with courses ranging from sponsoring members of the Finance team through their accredited qualifications to skills for life, such as English for Speakers of Other Languages (ESOL). Langmead is investing significant resources in improving spoken and written English for high-potential staff held back by language difficulties, as well as training in leadership, problem solving and collaborative working. The management and leadership programmes can also lead to Degree Apprenticeships for rising stars and high performers. Improved productivity comes from the LEAN manufacturing ethos that pervades the business. Staff are able to question and challenge, and suggest new ways of operating, through Employee Voice, which is an inclusive staff forum. All have a stake in finding better ways to work and the quality of Langmead’s product is outstanding as a result. An example is how in just three months of applying LEAN principles Langmead achieved a 50% increase in production on its herb-packing lines at Ham Farm. The company now readily produces five million pots of basil, parsley, mint, thyme and chives a year. Langmead’s inclusive approach sees the CEO flipping burgers at the Summer Barbecue and all staff enjoying Harvest Festival and a Christmas Dinner.